“Perhaps, the biggest challenge to the health care sector of the Nigerian economy is the emigration of health care specialists, most of whom are trained in the country, to countries where their services are most appreciated in terms of remuneration and conditions of service generally. This has, of course, resulted in brain drain as young graduates from our colleges and universities tend to go to places where they can earn salaries that are proportional to the efforts that they have put in through years in medical school, house job and graduate residency training. The result is the near lack of experts in many fields of medicine to cater for the needs of our ever growing population“. AN old colleague of mine while in high school recently posted on her facebook that should we, her facebook friends, have any brother, sister, relative or friend who is a practising nurse, we should let her know for immediate emigration to Canada; she has the link for such a person and or persons to live and work in Canada. What immediately came to mind was why we would want to export our few medical experts overseas when their services are needed here and at such a time when there is a dearth of medical personnel. What would make a home grown medical expert choose to render his or her services abroad and not help in developing the near comatose health care sector of our economy? In a recent report, the World Health Organization (WHO) rated war-torn and poor countries such as Somalia, Burundi and even Zimbabwe as being better than Nigeria in terms of health care delivery. Our country was rated 187 out of the 190 nations surveyed. Nigeria only beat the Democratic Republic of Congo and the likes. What indices could have given rise to such a rating in the face of government and private individual efforts at improving the health care delivery in our land? Also, most recently, Nigeria won the fight against Ebola Virus Disease (EVD) and is now being looked up to by the international community to volunteer information on how to tackle the disease that has suddenly become a global menace with its increasing scourge and spread. Could the same approach and tactics used in winning the war against Ebola not be used for the various healthcare challenges currently facing the country? Many factors have accounted for our poor health care delivery system. First, Nigerians have lost confidence in the health care delivery and those who can afford it choose to go on medical tourism when they or their relatives are sick, even of minor illnesses that can be treated within the country. India, a developing country like Nigeria, has become the ‘salvation’ of many well-to-do Nigerians and government officials. They are of the mentality that while Nigeria does not have the technical know-how and equipment to carry out some forms of operation, a certain country, India, is a sure-bet to provide solutions for their health need. The Nigerian High Commissioner to India recently revealed that 80 per cent of Indian visas granted to Nigerians in 2011 were for medical treatment. Also, the president of the Nigerian Medical Association (NMA) stated some time ago that more than $500 million (USD) is lost annually to medical tourism. Some other bodies’ estimates put it at actually double this amount. These monies, if invested in the Nigerian health system, would sure transform the sector. Second, child mortality and morbidity has been a thorn in the flesh of the ordinary Nigerian. It is a fact that attaining the infant and maternal mortality components of the Millennium Development Goals depends largely on an effective primary health care system. About 32 per cent of under-five mortality in the country occurs to newborn babies. Furthermore, due to poverty and or lack of health care centres in some rural areas, most expectant mothers do not undergo the mandatory pre-natal, anti-natal and post-natal care that is expected to improve their chances of safe birth delivery, sound and healthy children. The result of the foregoing scenario is evident in the relatively high rate of deaths of either the newborn or the mother. It is not surprising, therefore, to see a segment of the well-to-do citizens choosing to deliver their newborns outside our shores in which they have utmost confidence. We are not unaware of the fact that most of the diseases ravaging the country at present could have been tackled at childhood if mothers had adhered strictly to their pre, post and anti-natal responsibilities as well as carried out the necessary immunisation procedures that would have nipped in the bud many of the sicknesses now rearing their ugly heads. Third, despite the efforts at tackling various illnesses besetting the populace, such diseases as the HIV/AIDS pandemic, malaria, tuberculosis etc are still major health issues. As regards HIV/AIDS, mother to child transmission, which is supposed to be a thing of the past at this stage of HIV/AIDS awareness, is still occurring. The issue of malaria is worrisome as our rural areas still bear the burden of this scourge. Dirty environment, lack or inadequate sewage disposal systems as well as lack of resources to acquire insecticide treated nets etc accounts for why Nigeria is still regarded as one of the countries with the highest rate of malaria victims. It is estimated according to a WHO report of 2011 that malaria mortality rate in Nigeria is 156 per 100,000 persons. The case of tuberculosis is particularly alarming as there is a dearth of specialist and diagnostic centres across the country. Recently, WHO said 1.5 million people died of the disease globally last year and nine million were infected. Also recently, a professor of medicine and pulmonology at the Delta State University, Emmanuel Ade Dosumu, stated that lack of knowledge about various aspects of tuberculosis (TB), even among private medical practitioners, in Nigeria, is the major cause of its increasing cases in the country. He believes that other than a trained pulmonologist, most general and private practitioners have very low knowledge of TB care, hence they lack the capacity to manage or diagnose patients suffering from it. This probably is the reason Nigeria has one of the highest TB burdens in the world and the highest in Africa with 311 per 100,000 populations. Would it then be realistic to blame persons who take their loved ones abroad for the treatment of diseases such as tuberculosis and accuse them of undermining the development of the health care system given the fact that there is a dearth of specialists in the country? Perhaps, the biggest challenge to the health care sector of the Nigerian economy is the emigration of health care specialists, most of whom are trained in the country, to countries where their services are most appreciated in terms of remuneration and conditions of service generally. This has, of course, resulted in brain drain as young graduates from our colleges and universities tend to go to places where they can earn salaries that are proportional to the efforts that they have put in through years in medical school, house job and graduate residency training. The result is the near lack of experts in many fields of medicine to cater for the needs of our ever growing population. While the study of medicine and related courses is relatively cheap in Nigeria when compared to other countries, its practice here is not as lucrative as it should be when also compared to other advanced and developing countries. People tend to study here. In the end they use their gained knowledge to develop the health care sector of other counties by practising there. The ratio of the remuneration paid to young specialist in Nigeria and other countries such as Saudi Arabia is almost 1:5. In the light of the foregoing, it is imperative that we urgently find a way which will turn things around thereby finding a lasting solution to the health care need of the average Nigerian. This is because, in order to achieve our set target and be at par with other developing and developed countries, our health care system needs a complete overhauling so it can bring us closer to achieving the Nigeria of our dream. The first task will be for us to have an attitudinal change. It has been said in some quarters that the trouble with Nigeria is self-inflicted. Thus our health care challenge can also be solved from within. Most Nigerians believe that Nigerian doctors and health care professionals are poorly trained, hence they find it difficult to believe their diagnosis. As a result, they go on medical tourism and swallow hook, line and sinker anything that they are told by foreign doctors. The end product is untimely death in some cases or complications due to possible wrong diagnosis and treatment of one disease for another. Such cases have happened to Nigerians. To reverse such occurrences, we must trust our health care professionals as their foreign counterparts are not in any way superior to them. If they were superior, why would they be seeking the services of those trained in Nigeria? The second task to achieving our dream health care sector in which professionalism and patriotism rank high would be to ensure continuous sensitisation of the populace on various forms of illnesses and symptoms as well as recommending places to get help. Nigeria was able to win the fight against the dreaded EVD because of the role played by virtually all Nigerians in ensuring that the message went to the nooks and crannies of the country. The print, mass and social media ensured that they educating us during the period on the symptoms of the disease and how it could be contacted and the best possible ways of prevention. If this same approach is adhered to for other diseases, then, Nigeria would sure be on its way to achieving a dream health sector where all its citizens are well informed. The third and perhaps the most important task of achieving a dream health care would be to keep our professionals at home by making the sector lucrative. The monies paid to them must be comparable to a greater extent to that paid outside our shores. This is not saying that other key sectors of the economy should be neglected; the same thing should be done to all. A huge sum of money might be expended in the process but the result will be overwhelming and visible. 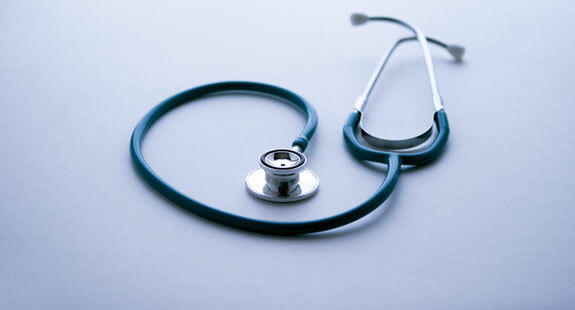 Nigeria is not short of health care professionals in virtually every aspect of medicine. All we need is to find a way to bring them back into the country to practise their profession. The challenge standing in our way to achieving our health dream is enormous but not insurmountable. We, as citizens, must play our part effectively and not wait on the government to solve all of our problems. All hands must be on deck to ensure that we bequeath a legacy that is worth remembering to generations yet unborn. That is the only way that posterity would remember us in the affirmative. • Okorodudu is a youth corps member serving in Taraba State. The YOUTHSPEAK Column which is published daily, on weekdays, on the back cover of THE GUARDIAN Newspaper, is powered by RISE NETWORKS, Nigeria’s Leading Youth and Education Development Social Enterprise, as a substantial advocacy platform available for ALL Nigerian Youth to engage Leadership at all levels, engage Society and contribute to National Discourse on diverse issues especially those that are peculiar to Nigeria. Regarding submission of articles, we welcome writers’ contributions by way of well crafted, analytical and thought provoking opinion editorials that are concise, topical and non-defamatory! All Articles [which are not expected to be more than 1000 words] should be sent to editorial@risenetworks.org. To read the online Version of this same article plus past publications and to find out more about Youth Speak, please click www.risenetworks.org/youthspeak and join the ongoing National Conversations. ← Has religion failed us in Nigeria? What Happens When 3D Printing Turns Consumer Products Into Digital Content?